Free Bird Books, 9780473328702, 256pp. Cold climate, hot hero...a snow-kissed escape with a twist of mystery, adventure, and Scandinavian wildness. Love has its own latitude. Zoe Bailey's transient childhood left her with a passport full of stamps, an ambiguous accent, and nowhere to call home. And as a grown-up, her career at a relentlessly slick London PR firm has been half-hearted at best-until she travels on assignment to Lillavik as a not-quite-legit wildlife volunteer. The tiny Swedish village holds a smorgasbord of secrets...and Jakob Westermark. Aloof and wild, like the wolves he studies, Jakob has good reason for keeping his distance. But it's cold, he's hot, and the temptation to mix pleasure with business is too strong for Zoe to resist. Then Jakob's wolves are threatened, and suspicion turns her way. 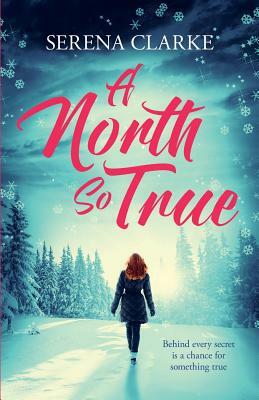 With more to lose than she ever imagined, Zoe sets out to untangle the hidden threads running through Lillavik...and maybe, finally, find her own true north. Serena Clarke grew up in a family of itchy-footed readers and dreamers-not concentrating, reading the atlas and Narnia books, and planning to run away somewhere magical as soon as she could. At 16, she packed her bags and went to live in faraway Sweden. It was the beginning of many travels and adventures...with a few mishaps along the way! Seventeen countries later, she's living her happily ever after near the beach in beautiful New Zealand, where she loves to hang out with her boys, escape into books and movies, and write romantic, escapist women's fiction. Find her online at www.serenaclarke.com.